Updated Wednesday April 10, 2019 by South Montgomery Girls Softball League. 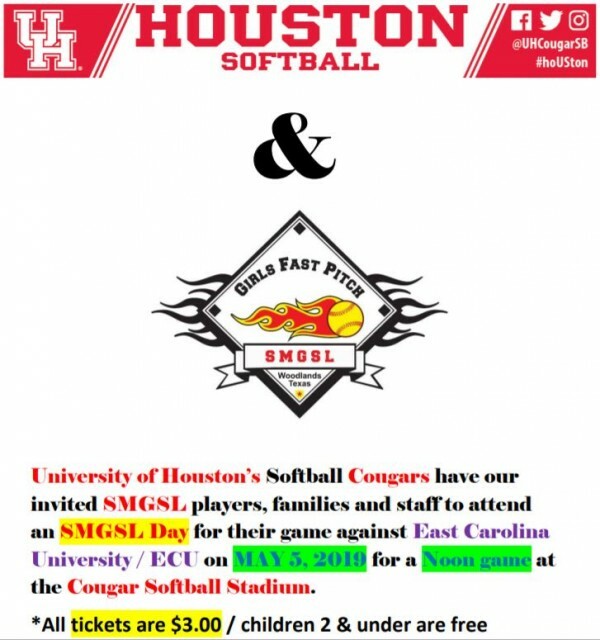 University of Houston’s Softball Cougars have our invited SMGSL players, families and staff to attend an SMGSL Day for their game against East Carolina University / ECU on MAY 5, 2019 for a Noon game at the Cougar Softball Stadium. "Do we go to the U of H site to get the tickets?"